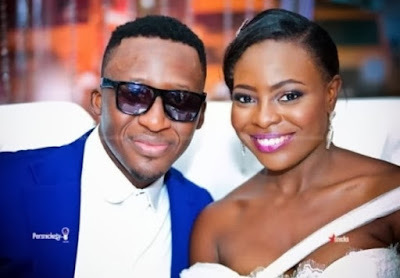 In a revealing piece shared on website Mylighthouse.com yesterday, Bolatito, wife of singer Bez Idakalu, opened up about the Journey from losing their daughter in July 2015 to welcoming their son Joshua in July 2016. She revealed how God guided her from the moment she found out she was pregnant till she delivered their child. On Sept 7th 2015, I had a miscarriage. I was 10 weeks pregnant. Ironically, this happened on the day I got baptised. It was during church service and I spent a significant amount of the service in the bathroom; Bleeding. I still went ahead with my baptism because it became so clear to me that I needed that baptism. I needed the cleansing. I needed to be refreshed and to start anew and as I stepped in that pool of water, I felt God so strongly. I knew I was walking into a new beginning and everything prior was being washed away. I still don’t know how that water did not turn red considering how heavily I had been bleeding a few minutes before but I had no doubt that something changed with that baptism. I am sure like me, you expected the next part of my story to have been more straightforward. Especially now that you probably know I gave birth to my precious son in July 2016, a year after I shared my testimony. However, please do not think God did not know what I was going to experience because he did and he prepared me to stand and I did. Praise and thanksgiving never ceased from my lips because I made a decision that no matter what happened in my life, I would praise God. I didn’t have the answers and I was not going to spend energy, trying to figure it out but I knew God had the answers and so I left that burden to him and gave him his due as God. I was not going to try to do what only he can do. And he showed himself to truly be Yahweh because in October 2015, I got pregnant again and in July 2016, a year after I shared my first testimony, I shared another testimony because he blessed us with a beautiful son. When I found out I was pregnant again, I was in awe at how quickly God showed up because I truly never expected it. I thought it’ll take some time and that was fine with me. I wasn’t in any particular rush to get pregnant again but God does things in ways I can’t even imagine and he decided it was time. Who am I to argue? I was so ecstatic. I was at a point in my life where I was waking up at 3am every morning, spending time with God and growing in relationship with the Holy Spirit and everything about my pregnancy was spirit-led (it sounds like cliché christianese but it really is the truth). I didn’t even have to do a pregnancy test to know I was pregnant. It was a dream I had that told me I was. In my dream, I was about to take a glass of alcohol and someone tapped me on my hand and said: “drop that glass, don’t you know you are pregnant?” and I just knew I was. I told my husband and that was that. I didn’t even bother with a pregnancy test because my spirit was so connected with the spirit of God that I knew when he spoke. This was in October and I eventually did a pregnancy test in December (just because I wanted the physical confirmation). I also didn’t want to do a test earlier because I just didn’t want to be too human about things. I knew once I did the test, I would start fussing, trying to control things as I had done in previous times and this time I couldn’t be bothered. I remember writing in my journal and telling God that I was leaving this child in his hands because he is God and he is the only one who can truly keep the child. I found out I was pregnant in October but I didn’t go to a hospital until January. The first 3 months of a pregnancy are often the most delicate and it is after 3 months that you can usually be sure that your baby is going to make it. I decided to give my first 3 months completely to Dr God because quite frankly, I couldn’t think of a better Doctor. I continued to wake up at 3am to pray and was always at work by 5am to begin my shift at the radio station. Apart from a cold a few times, I didn’t experience one bit of morning sickness. In fact, I continued to work out with a trainer after work until I had to stop. I didn’t go to a doctor until January and once again, I chose a doctor based on the leading of the Holy Spirit because in previous experiences, I chose based on where people recommended not where God told me to go and I was doing things differently this time around. So I wrote a prayer request asking God which hospital I was to go to and he dropped St Raphael’s in my spirit. I immediately recognised the name of the hospital as my Uncle’s hospital (his wife is my mum’s blood sister, same father, same mother). I thought it was random because I hadn’t been to that hospital since I was a child and being the badly behaved child that I am, I hadn’t even spoken to my uncle since 2014. These are all sentiments I expressed to my husband as I told him what God laid in my heart. I remember saying to him that I didn’t know how I was even going to reconnect with this uncle and anyway, if God wanted me to really go there, he would create the avenue. And God being God, he created the avenue because a couple of days later, my uncle’s son (my cousin) who also happens to be a doctor sent me a message on Facebook. He and his wife wanted to attend an event I was a part of and wanted tickets. It seemed like a coincidence but I had learnt at this point that answered prayers come as perfect coincidences. He had no idea I needed the opportunity to reconnect and the last time we exchanged messages or spoke was also in 2014. However, God heard my little prayer and used him to create an avenue to reconnect. This is how I knew which hospital to go to. At my first visit to the hospital, my doctor immediately put me on bed rest (not because anything was wrong but because he termed my baby: a special baby). Also this man was a father figure to me as a child and I guess he didn’t want to take any chances. He was extra careful with me and with each visit I could see why God directed me to that hospital. I had the best doctors and I had complete peace. We were also on the same wave length spiritually as he insisted we kept the pregnancy as quiet as possible which is something the Holy Spirit had told me too, so once again, I understood why God directed me to this hospital. Through various avenues, God had been telling me to hide and had literally stopped me from going to certain places. He had also directed me to the story or Elizabeth and Mary and I noticed how Mary stayed with Elizabeth for at least 3 months of her pregnancy and Elizabeth hid herself for 5 months and as I read it, I once again felt a strong prompting to hide and that is what I did during this pregnancy. I didn’t share with people I normally would have shared with and for a very very long time, it was between my husband and me until a few people figured it out but even then I stayed in hiding barely going anywhere. With every appointment, my doctor emphasized the need to keep my pregnancy quiet and I obeyed him. This was probably the most difficult part of being pregnant for 9 months but once again, I had chosen to be completely obedient to the spirit of God and I did what I was led to do. As the pregnancy progressed, I had decided I was going to travel to the states to have my baby and also just to “hide” myself. However, that didn’t happen because once again I felt I was to have the baby here. Every time I was to buy my ticket or plan logistics, something came up and in my sensitivity to my spirit, I kept feeling I wasn’t meant to travel. I had been reading the story of Saul and something God pointed out to me was that obedience was better than sacrifice. God had already told me which hospital to go to from the beginning, so why was I looking for yet another hospital in the states. Fortunately, my husband is also very spiritual and when I told him about my lack of desire to travel, he actually expressed that he had also been getting the same prompting, we prayed about it and we just had a peace with the decision not to travel. This was also very tough because I remember someone saying to me that God can’t tell anyone to stay and have his or her child in Nigeria. I found that funny on so many levels because my daughter passed away in the states and if anyone understood that it was not a function of where you give birth but the grace of God, it was me. I made the decision I felt comfortable with in my spirit and even though I was also not sure why, it made sense later. As we deliberated where to have the baby, we also asked God for the name of our child. We knew it was a boy and we had been trying to decide on a name. Not to sound like a broken record but we decided to pray about it and let the Holy Spirit lead and God being so faithful he did something amazing. You might call in a coincidence but I know that isn’t the case. On a specific day my husband and I prayed and asked God for the name of our son, the name Joshua immediately dropped in my spirit along with Jeremiah 29:11. I was confused and mixed up the verses so I checked Joshua 29:11 instead and of course no such verse existed. I then realized that God was sending the verse Jeremiah 29:11 to confirm the name Joshua because he was essentially saying he knows the plans he has for us and that included our son. I was still musing about this and I remember praying to God to confirm the name with my husband. One random afternoon, my husband and I were having a conversation and I felt the baby kicking so I just said: “why don’t we call him Joshua?” My husband gave me one of the weirdest and funniest looks ever and I immediately wanted to back track because I wanted God to give both of us a name we would agree on. So when I saw his expression, I thought maybe it wasn’t the name. He then asked me why I chose that name and I explained that the name was dropped in my spirit. He then proceeded to explain the reason for his funny expression. Apparently the name Joshua had been on his mind for 2 weeks already and every time he wanted to refer to the baby by name, that was the name he wanted to call him. So the fact that I suggested that same name blew him away and he was amazed at the way God answers every single prayer. He kept saying: “God really answers all prayers”. I think that was one of the most powerful ways we saw God work because a seemingly ordinary prayer, God answered for us. The name Joshua means: Jehovah is my Saviour, Jehovah Delivers or Jehovah is Generous. For us, we have seen God show himself in this name and in our son’s life. The generosity of God hasn’t stopped flowing to him. God continues to be a deliverer and it’s a real privilege to watch God work. God has done abundantly more than we could have hoped for or imagined. He has given us beauty for ashes, turned our sorrow to joy and has given us dancing for mourning just as he promised to. Before she went into labor, she had the baby. Before the birth pangs hit, she delivered a son. Has anyone ever heard of such a thing? Has anyone seen anything like this? A country born in a day? A nation born in a flash? But Zion was barely in labor when she had her babies! Do I open the womb and not deliver the baby? Do I, the One who delivers babies, shut the womb? I knew I was going to have a quick and painless delivery but not in the way it happened and once again I saw God show up. On Monday the 4th of July, I started to have contractions. They were completely painless, although I felt pressure. I even wondered if they were Braxton hicks simply due to lack of pain but because they were quite intense and lasted for so long, I knew they were contractions. I also knew I wasn’t going to be in any pain so I had to focus on the pressure instead and judging by that, I knew it was time to go to the hospital. Just as I was about to leave for the hospital, I started to leak so my water had broken. As soon as I got to the hospital, my uncle (doctor) started watching me. He was concerned that my water was leaking because it meant my baby was now connected to the world. And once that happens, the chances of the baby having an infection are higher. I learnt that is one of the main causes of jaundice with newborn babies and my uncle was not going to let that happen to my child. He wanted us to have the caesarean section as soon as possible but I kept saying to him that I wanted natural delivery. Also I wasn’t in pain and I remember the nurses saying my labour wasn’t far along yet otherwise, I would be screaming in pain. I told them, I wasn’t going to have pain so they shouldn’t wait for me to start shouting. In fact I made sure I put on lipstick before going to the hospital because I wanted the experience to be memorable. Lol. My Doctor decided to observe me for a while and see how my labour progressed. I was expecting that by the time they checked my dilation, I would be at least 4cm dilated but I was barely 1cm gone. It was hilarious because I had been feeling intense pressure for a while. This process started around 4pm in the afternoon and by 4am the next morning, I was barely 3cm dilated. At this point it was becoming quite apparent that I would have to have a CS but I wasn’t feeling it. This was the time I knew why God sent me to this hospital and to my uncle and cousin. There is a way your family can speak to you that strangers can’t and when the person is your uncle, there is no way you can say no. My uncle told me I should have the CS because the membrane protecting my baby was compromised and we didn’t want to risk him having an infection. At this point, he was still speaking as my doctor but when I kept insisting on natural birth he switched to Uncle mode. I remember him saying: “Bolatito, don’t allow the devil to have a chance.” It was at that point, I gave myself sense, because it didn’t even matter if the baby was born naturally or through a caesarean section, the most important thing was to have a healthy baby. So after asking a few questions about the procedure because I had been ignorant before, I agreed to the CS. I should state that at this point, my labour had stopped progressing completely and I wasn’t feeling anything at all. As soon as I agreed to the CS, I felt at peace. Everything happened so quickly after. I went into the theatre and was put under anaesthesia but was completely awake for the whole thing. Within 5 minutes of being cut, I heard my baby crying. It was THAT QUICK. I couldn’t believe it. My Uncle and cousin were in the theatre although a consultant did the operation. As soon as my baby was born, my uncle brought him to my face for me to see and took a selfie of us. It was the most awesome experience. I was still being operated on but I felt such joy. With my daughter, I never heard her cry so hearing my son cry was one of the most amazing sounds EVER. I was so happy. They took him away to be cleaned as they continued to operate on me. Apparently there was a degenerated fibroid that was the reason for my labour not progressing and even if we had waited more hours, my labour might not have progressed and my baby could have gone into distress and also been infected. I started to see clearly that God directed me to my uncle because unlike a stranger who had no choice but to respect my wishes for my labour to progress, he could speak to me as my uncle and I strongly believed that saved us. It also made my delivery special in many ways because I had family around and I didn’t realise how much I needed that until I did. God truly knows what is best for us and he gives us what we need. If I had travelled, I would have been alone and miserable in the months leading up to delivery and after especially because of my previous experience. Staying at home to have my child made my pregnancy an amazing one because I was surrounded by so much love and kindness and I couldn’t have imagined a better experience. I had such peace and joy and I was just in awe of God. Also God didn’t fail in his promise. I literally was delivered of a son before my labour pangs began just as he promised. I never had any labour pain. Also, the delivery was very quick. I was in and out of surgery is less than 30 minutes. I had said I didn’t want CS because of pain and recovery time but by the next day, I was walking and climbing stairs with very very minimal pain. I remember someone who came to visit me at the hospital telling me she couldn’t believe I had done surgery because I was so active and so chatty. To be honest I didn’t even know what a big deal this was until a few other people said the same thing. I later realised this in itself was a testimony. My doctors kept saying my recovery was the quickest they had ever seen. The pastor who conducted our naming ceremony also told me it was a complete testimony because I was serving people and walking around at the naming in my home. He said to me, with most women, the naming took place in the hospital due to the surgery and told me to praise God. Once again, God gave me exactly what he promised because he took away the pain from me. God showed me such mercy and I cannot praise him enough. The process after delivery has been a blessing. It has been a learning experience and I have had my fair share of challenges but God has always come through for my husband and I. He has given supernatural strength and has shown me I am capable of so much more than I ever imagined. My husband has also been a real superstar. He has been my biggest support system, an amazing husband and even more awesome Father. God chose him specifically for me and I couldn’t have married someone else. He has shown that ours is a true partnership and has made this experience easier on me as a woman and as a mother and I thank God for him. My Son is 3 months today and I just want to praise God and give him a big shout out for being so so good to us. Watching him grow up daily is such a joy, he already has an interesting personality with the most beautiful smile that melts my heart. Of course when he cries, he puts his all into it and sometimes I just smile because I am realizing that even that is a gift some people are praying for. I have been wanting to share this for a while and I am glad I am able to today. There is so much I couldn’t even put into words and I will share as the Holy Spirit leads. To everyone who has supported us in one way or the other, may God bless you abundantly. To those who are still praying, trusting and believing God, please don’t give up. More importantly, begin to seek God for him, build a personal, loving and obedient relationship with the Holy Spirit. Find reasons to praise God through the disappointments and the waiting. Don’t let pain pull you away from God’s love, he is the best comforter, let him heal your heart. I knew it was important that I shared this because while we are all celebrating the end of the story, it is important to know it was a journey. It is important to know that there was yet another test on the way to the testimony. It is important to know that through praise and thanksgiving, God unlocks doors and accelerates situations that look impossible. Through my tears, I learnt to praise God and he showed himself to be a Father whose love for me and my family is unfailing. I hope you will see that too in your lives. God bless you.